Maple Press of Madison Heights is proud to be your local full service commercial printer, offering everything from design and printing services to binding and mailing. 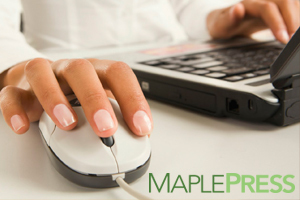 To place an order or get help with a new project, enter our online Customer Service Center or contact Ron Wells at ron@maplepressprinting.com. You can also give us a call at 248-733-9669. To download useful software and find helpful information, search our Resources & Support area. To learn more about us, browse through our Company Information section. Give your company an engaging brand identity through professionally designed letterhead, envelopes and business cards. Let our pros handle the concept, design and layout of your piece, and give every design the credibility it deserves. With our variable data printing, you can deliver a personalized piece, showing your supporters they're more than just another address.